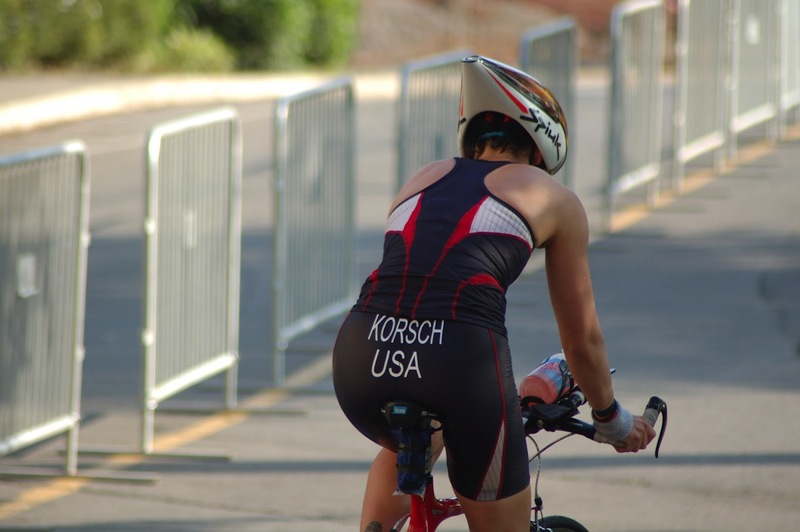 I have only done these race report follow-ups for adventure races so far, but I have a few pointers to share about triathlon. So consider it your lucky day! I am somewhat of a black sheep in the world of triathlon...I am a cheapskate. Like, super cheap. I would prefer to spend 20 hours of my own time making a one-off carbon water bottle mount instead of plunking down $50 for it. 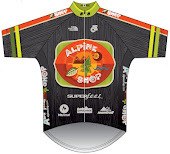 This year, I am wearing last year's racing kit. 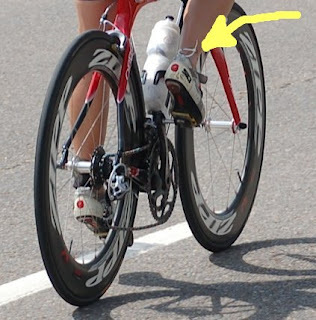 And when I was practicing my flying mounts, I was challenged by the fact that I use regular road bike shoes instead of triathlon-specific shoes. Mine have three velcro straps instead of one, and no heel tab, which makes them slightly more difficult to put on while pedaling. I did not want to buy new shoes. Solution? Every cyclist's best friend...THE ZIP TIE! I made myself heel tabs by attaching zip ties to my shoes. Aero? Mayhaps not. Cheap? Definitely. As someone who's currently working on making her own frame bag for Dirty Kanza, I love your cheapskate leanings. I drank half the river during the swim. You didn't? Training Weekend in Pictures, and Knoxville!